Beats Technology Coming to HTC Phones, but Will Consumers Care? As we noted last night, HTC had "a major announcement" to make this morning, and while we didn't know anything initially, the news later in the evening of the company investing $300 million into Beats by Dr. Dre seemed to be a good indicator of what we'd be hearing about. And, yes, that is exactly what the call was about as we spoke with HTC CEO Peter Chou and Beats co-founder Jimmy Iovine. Essentially the two companies have decided to partner up with HTC making a $300 million dollar investment in the audio company which also will allow them to integrate the technology into their range of phones. 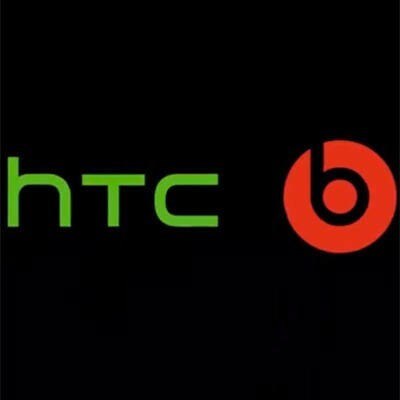 We reached out to HTC with some follow-up questions after the call in regards to this, and all they could tell us at this time was that they are, "looking at incorporating the best of Beats studio quality sound innovations into a variety of upcoming devices that will available this Fall." If this will be through out the entire line, or just selected, higher-end handsets, remains to be seen, but you will be seeing the distinctive "b" logo on at least some HTC boxes in the future. Of course, the biggest question is, will consumers care? Jimmy Iovine, who has a 33 year history in the music business, definitely does not lack passion for the quality of music sound. His initial statement on the call was lamenting the audio quality we currently experience when listening to music on MP3 players and phones, and how by the time it gets to our ears, it is at least two generations removed from the master recordings. His love for quality sound permeated everything he had to say through out the call, but at times it sounded more like listening to an audiophile rather than someone who was actually trying to fulfill the needs of consumers. While higher quality music is certainly not a bad thing, numbers were thrown around as to how little companies spend on the sound chips in phones and the accompanying ear buds. While not huge surprises – both components ring up for under $1 each – the fact is that people are buying smartphones primarily to be phones and organizers, with music being an added bonus. If the inclusion of the Beats technology raises the price point of phones significantly, consumers aren't going to be so thrilled with the concept no matter how good "Hey Jude" sounds. Another potential addition to the cost would be if Beats earbuds would be included with the phones. Currently the ones thrown in the box cost companies around 50¢, but on the official Beats site, the cheapest pair of in-ear headphones currently have a suggested retail price of $119.95, so it's hard to imagine that they would be throwing these in willy-nilly with the handsets. We also asked HTC about this in our follow-up with them, and they said that no announcement about the potential inclusion of ear buds had been made at this time. If they are included, your price for the phone again goes up, if they aren't included, and you want to take full advantage of the technology, you'll be laying out even more money down the road. Perhaps even more important than cost is what the potential impact on battery life may be. If there is any thing that consumers do complain about incessantly on their phones, it's how fast a battery can drain. If you will now also be dealing with a sound chip in there that is doing more advanced conversions, it isn't difficult to imagine that it's going to drain your charge that much faster. Mr. Iovine stated multiple times through out the call that the music industry has to "get to the phone" if it wants to survive, but is improved sound quality really the path to this? The path to the music industry doing better on phones is less cumbersome purchasing options, ease of use and more storage, not, "Wow, did you hear the lows in that bass line?" I don't think I've ever heard anyone say, "I'm not buying the new album until I can hear it in higher fidelity on my phone." Yes, HTC is going to be able to stand out from the sea of boring copy-cat Android phones in at least one area, but is it going to make that gigantic of a difference to consumers when they decide what phone to saddle themselves with for two years? What do you think? Will the inclusion of Beats by Dr. Dre in a phone sway your choice of handset in any way?